why does it take at least a full clip to kill 1 person? i have the ps3 version. PC Version here and I drop most targets in 1-2 short bursts. In all honestly its probably the infeiror aiming mechanics of using a controller to play a shooter. And aim for the head. K&L is a third person shooter but with first person elements, ie: it matters where you tag them. I can usually get em with one shot if I nail them in the head or upper chest. Gamespot said there were control issues, but that was the console release. I'm curious if they found the keyboard controls to be as difficult, I find them to be rather smooth. Then again, I'm still stuck on the level with the huge truck. doesnt matter to me anymore. since, i got rid of it. The shooting mechanic in K&L is the exact same that was used in Freedom Fighters. It means that you will only be accurate in short burst and that your shots will never match up exactly with your aiming unless you're using a sniper rifle. So in the space of 12 hours u gave up on the game? You cannot expect to wield a machine gun, hold down the trigger and have every bullet hit your target.. When I first started playing it took me a while to take guys down, but once I got use to the weapons (in the matter of 1 or 2 levels in SP), I was taking guys down in no time. It's just all about aiming right, and getting headshots. You'll get the hang of it. and the game is terrible as well. cant believe i lost $60 on this garbage. -Use SMGS and Rifles only at medium range. The Sig552 is good at all ranges. -If running or aiming, aim accordingly starting from your target's lower body, the recoil of the weapon, when fired in a 3-4 round burst will carry the later shots to the head and so on. BTW; your comment about the 60$ garbage really points out the fact that you cannot aim. This is a personal opinion of yours. i can show you many many more posts from other sites that show people do like this game. It doesn't mean either is right or wrong. It is just a matter of taste. If you wish to continue to post in the forum by all means please however if all you are going to do is constantly complain and say the game is bad then please troll elsewhere. It is not wanted, needed or welcomed. I've tried the X360 on D3, and honestly, I didn't like the feel of the joypad. I'm more of a PC-gamer. 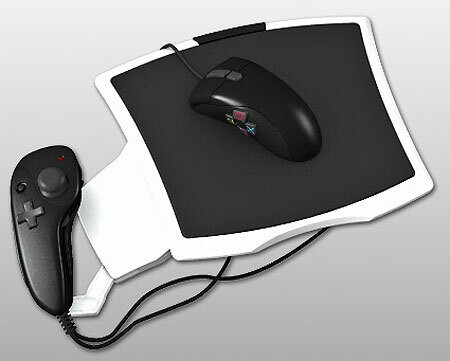 Can you get a keyboard + mouse, plug it into a X360 and then play with that instead? that would be awesome! its a little bit at the short end but i don't care. You are pathetic. Maybe you were too far from targets. When you are close, wait for your opponent to start reloading then shoot.